Lightning damage, electrical malfunction, wear and tear can take all its toll! Not only is it frustrating to have your Gate Motor or Garage Door Motor not functioning, but it also poses a security risk! We will be able to advise you on economically feasible repairs. Whether it is a broken gate motor mechanism, lightning damage and mechanical fault we can help you service and repair your Gate Motor or Garage Door Motor. 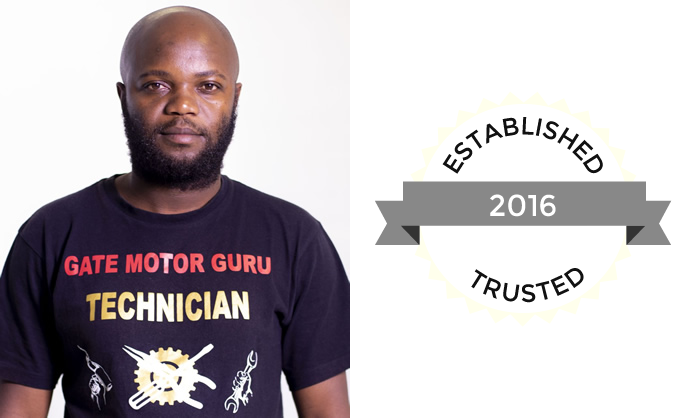 Gate Motor Guru (Pty) Ltd aims to be the number one for Gate Motor and Garage Door Motor Repairs in the Western Cape and Gauteng. Gate Motor Guru (Pty) Ltd is on standby to help you get quotes and fix your broken Gate Motor or Garage Door Motor.